NEW! – you can now buy scooters from us online. There’s over a hundred products in our online shop but we can access far more, just let us know what you’re looking for. For the little nippers, starting out, we have the 3 wheeled Mini Micros which make light of scooting to nursery. The next stage would be onto a 2 wheeled scooter. A JD Bug or a Micro fits the bill, they have adjustable handlebars and they can be folded. 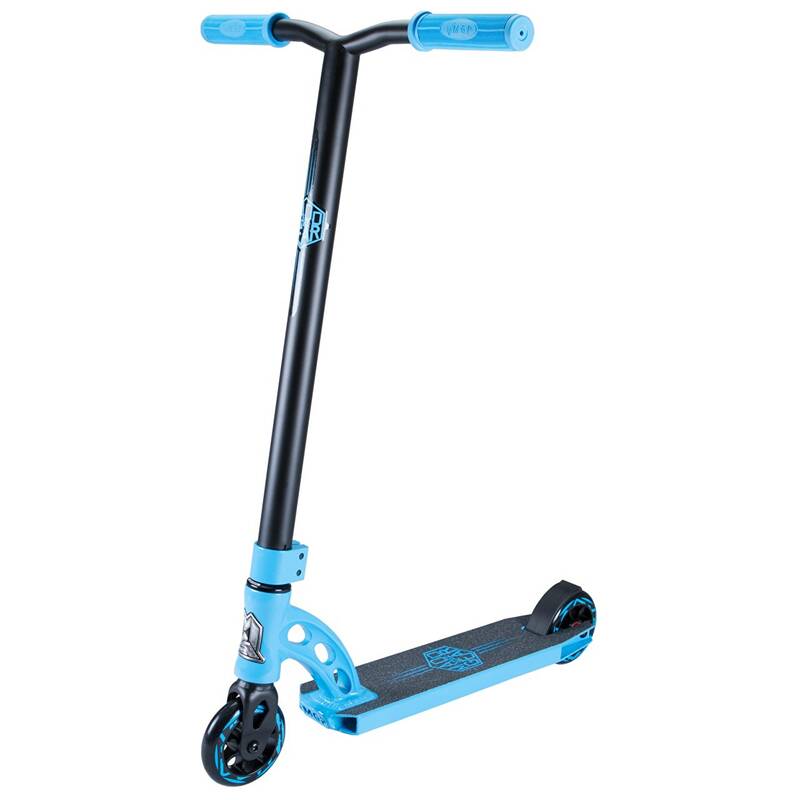 Fixed deck scooters can handle the trip to the skatepark more readily. We have a great selection from the likes of MADD, Grit, Blazer and Crisp. Buy these brands, and more, through our online shop. You can customise your scoot or … ‘Totally Custom Your Ride’, by choosing from a wide range of parts to make – your scooter, your own! 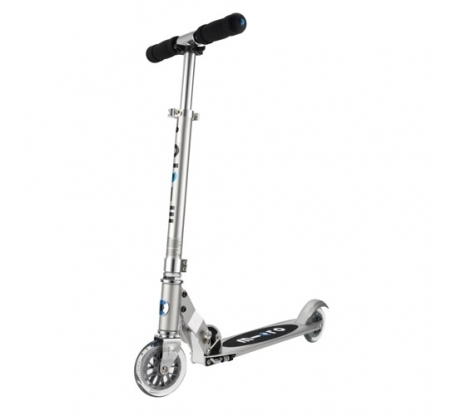 The Sprite is one of the best models for beginners to two-wheeled scooting. It is lightweight and foldable so makes it easy to transport. Adjustable handlebars are ideal for your child to scoot to school and for you to scoot home! 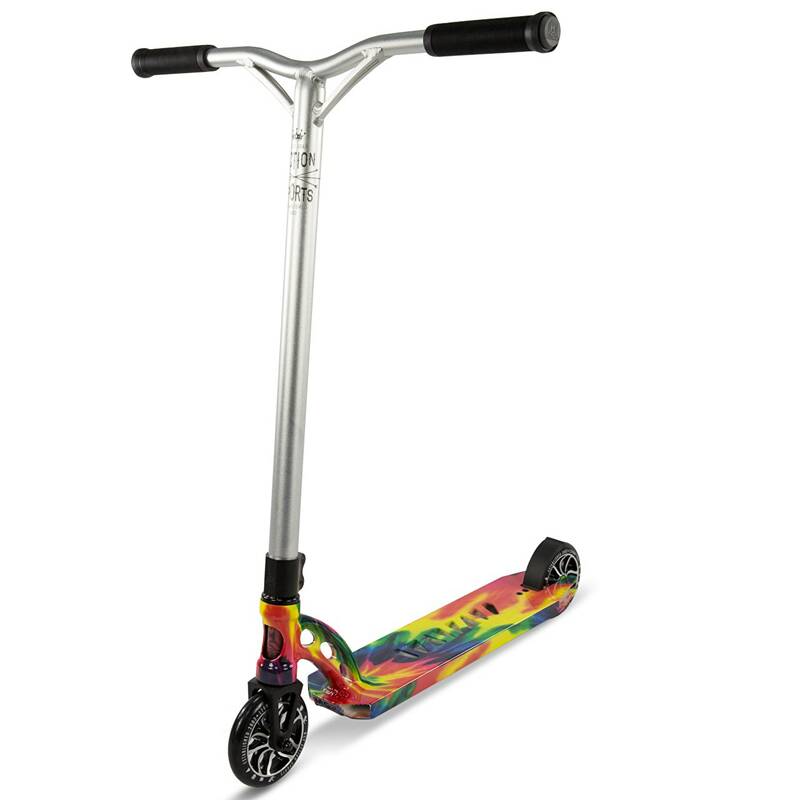 Madd Gear pushed the graphic design boundaries with previous Extreme scooters which featured the hydro-wrap graphic application process, and the MGP VX7 Extreme Limited Edition range is no different. Click on image to BUY! 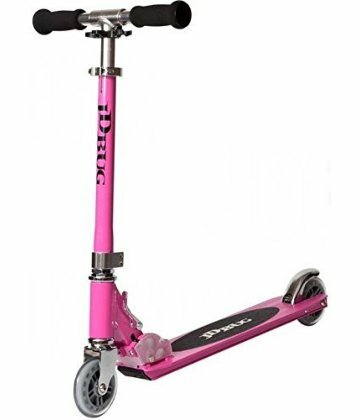 Versatile and strong, a great and very popular, entry level stunt scooter. Pro series collar clamps, forks and brake are standard along with adjustable bars. In 7 funky colours. Highly customisable!